The Bulldog Blog sat down with Erica Moorer, the deputy Title IX coordinator at the University of Redlands, to talk about what Title IX is, why she believes it is important, and what resources she provides to members of the University community. Bulldog Blog: What is Title IX? Erica Moorer: Title IX is a federal law passed in 1972 that states no person shall experience discrimination based on their gender within federal education. It originally started as a way to provide women access to college and collegiate programs, requiring that admission to different programs be equitable. But the law also addresses sexual misconduct, sexual harassment, and discrimination in efforts to create inclusive environments on campus for everyone. The Title IX Office seeks to stop, remedy, and prevent occurrences of sexual misconduct, harassment, and discrimination. BB: Your position was created last year so that the University now has a dedicated full-time staff member for Title IX, rather than spreading those duties across several staff members. What are the main responsibilities of your job? EM: There are two main functions of my position. One is education and training. For example, I host workshops with Greek life and student-athletes on affirmative consent, and Title IX policies and procedures. The second part is case management; all reports of sexual misconduct, harassment, and discrimination funnel through me at some point. The Title IX Office works to stop, prevent, and remedy occurrences of sexual misconduct, sexual harassment, and discrimination. BB: How can someone report an issue? EM: We have an online feature where people can file a complaint. People can also call the office directly and schedule a meeting with me. It's important to note most employees of the University have an obligation to make a report if they are told of a Title IX complaint. For example, if you speak to your department supervisor about a Title IX matter, that supervisor will contact the Title IX Office to file a report. In contrast, counselors in the University counseling center and the University chaplains are confidential resources. This means that they do not have a duty to report and can keep conversations completely confidential. BB: What resources does your office have available? EM: While the office’s resources depend on the need, they can be considerable. For example, we can assist in moving residence halls or classroom assignments to limit the interactions with another party. In short, we work to connect both parties in a case to the campus resources they need. BB: Now you’ve been here now about a year, what are your plans going forward? EM: In my second year, I will be collaborating with students more intentionally and hosting educational programs directly from the Title IX Office. I believe in creating spaces where people feel comfortable with having a conversation. We need to entice students to want to engage in conversations that might be difficult without feeling judged. BB: What are some of the most rewarding aspects of your job? EM: It’s rewarding to be a part of the solution. Teaching people about Title IX best practices regarding consent and communication and having conversations about different behaviors is rewarding to me. I also pride myself on treating people with the utmost respect on the best and worst days of their life. Everyone’s rights are protected under Title IX and I take that very seriously. 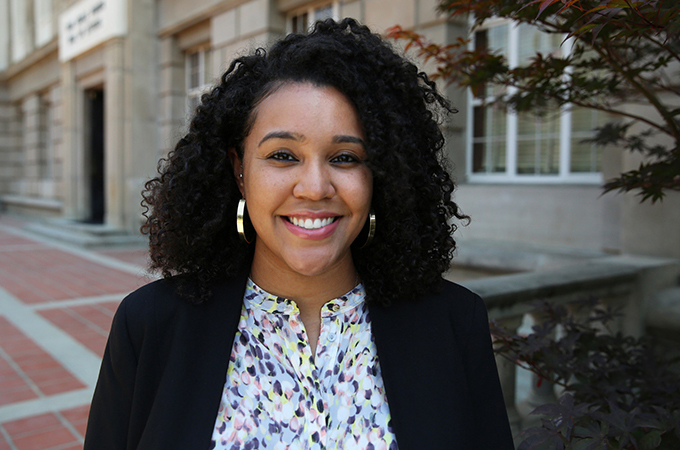 For more information, see the Title IX Office website and “Erica Moorer: Getting to Know New Deputy Title IX Coordinator” in Redlands Bulldog, the official University of Redlands student news publication.